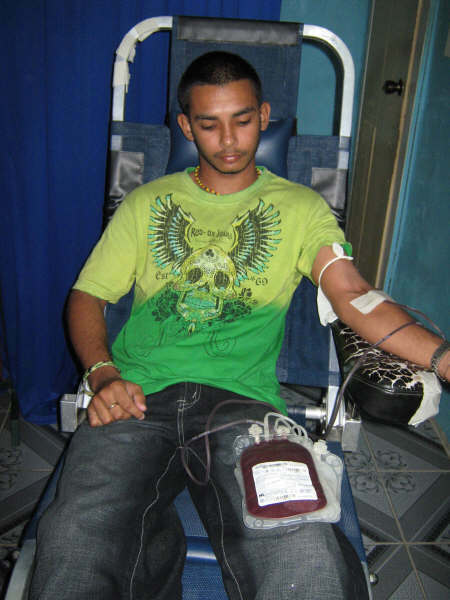 Thousands of people need blood transfusions each year. 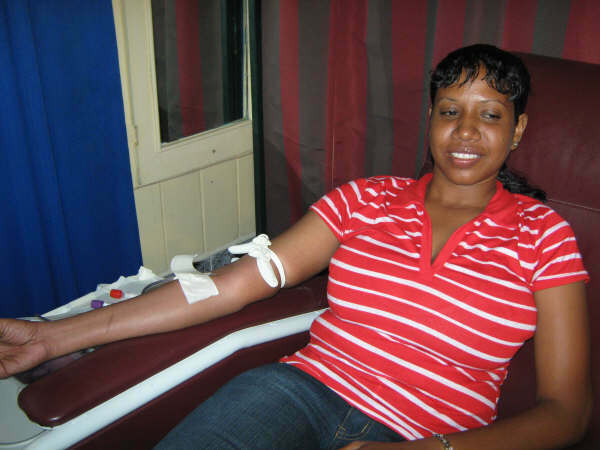 Some may need blood during surgery, while others depend on it after an accident or because they have a disease that requires blood components. 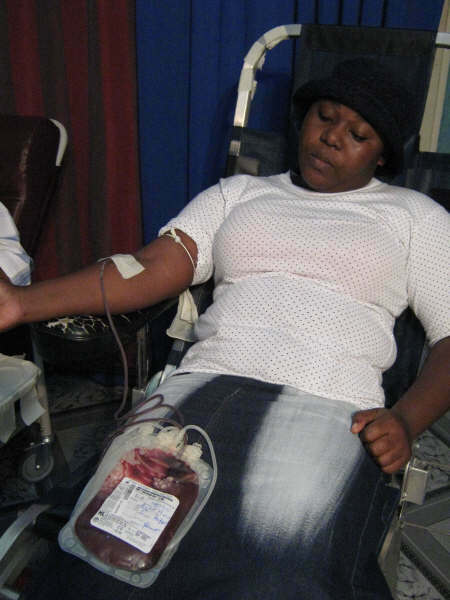 The blood donated would be separated into parts. 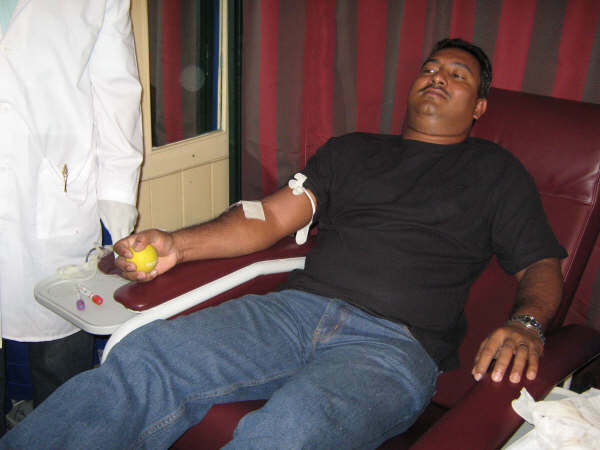 These include: Platelets, Plasma and Red Blood Cells. 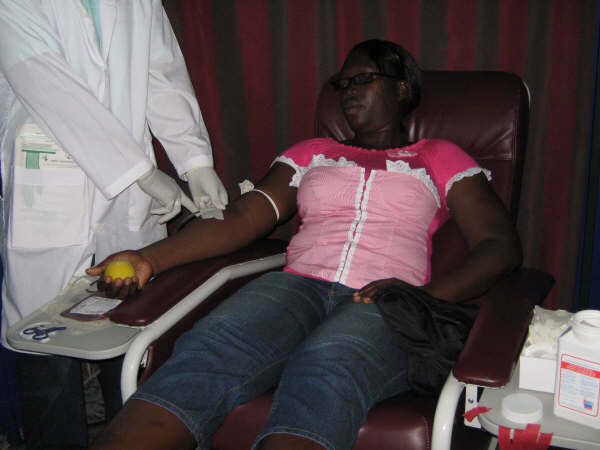 Each of these can then be given to persons who need different blood components. 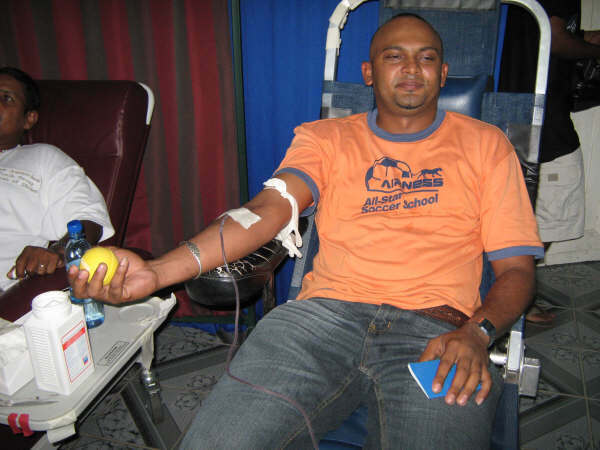 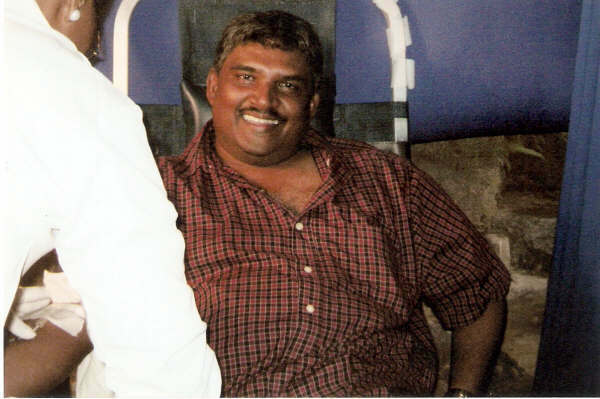 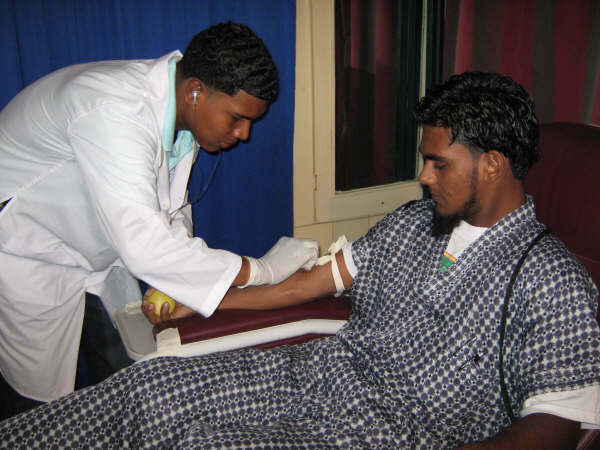 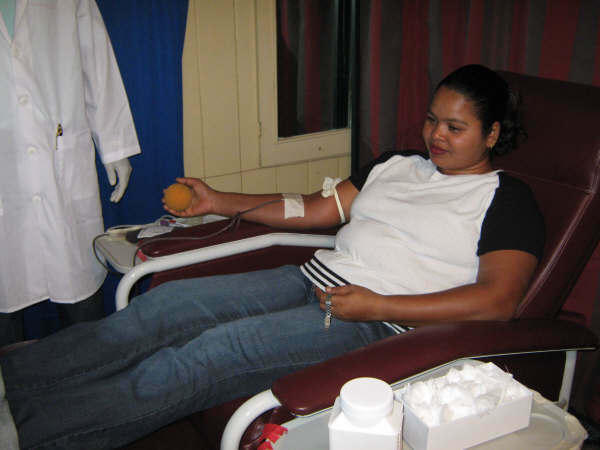 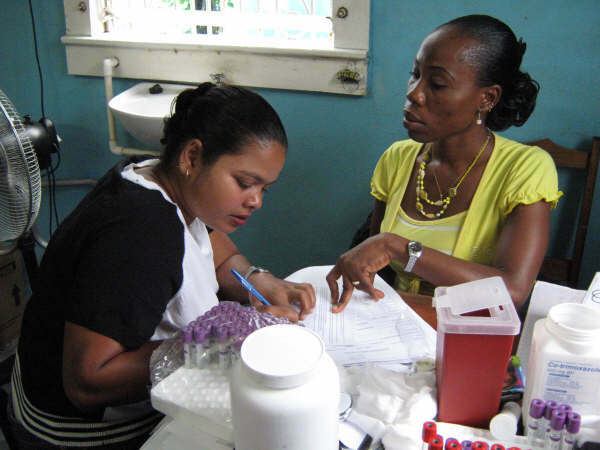 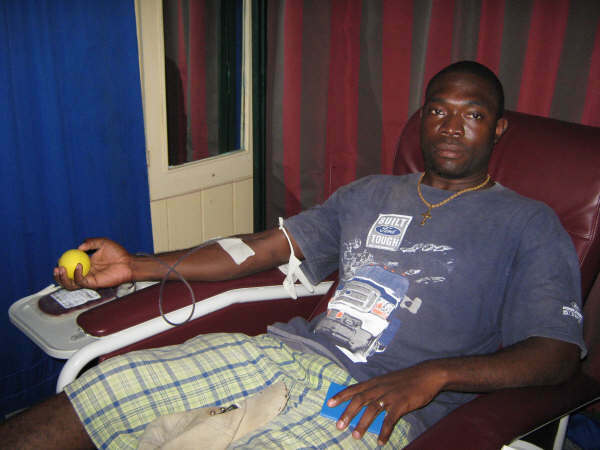 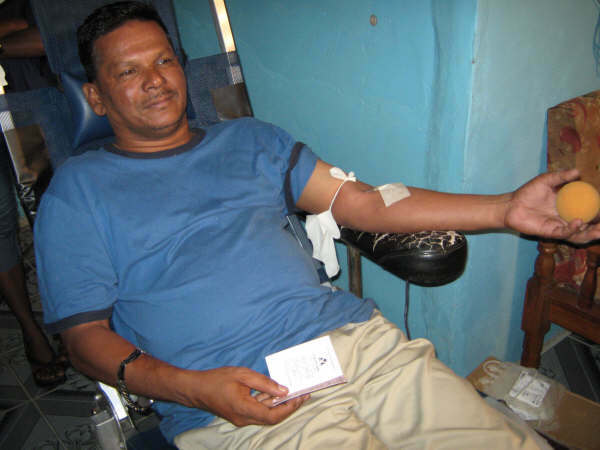 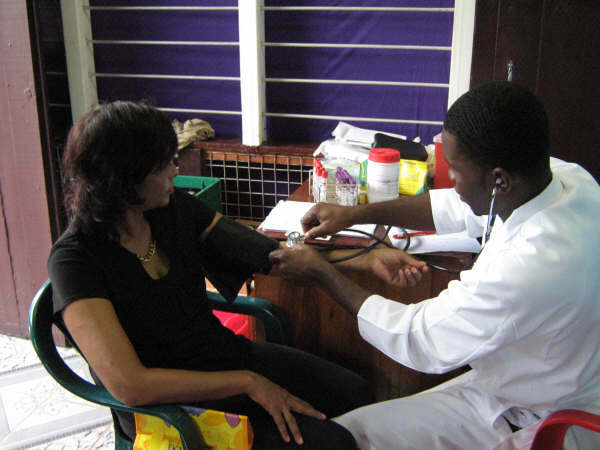 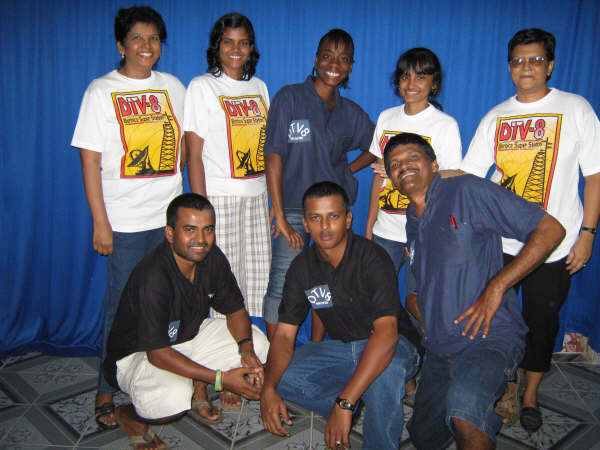 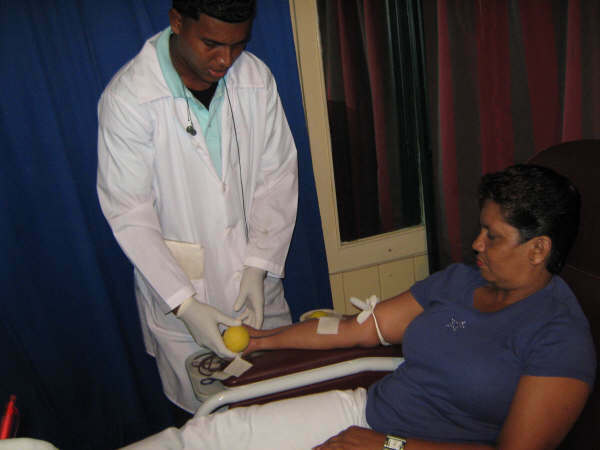 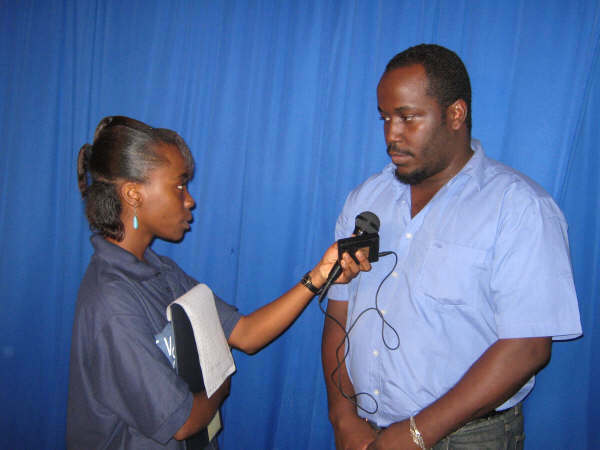 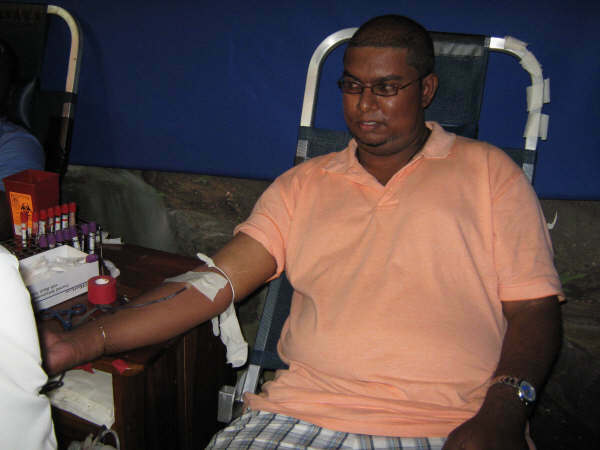 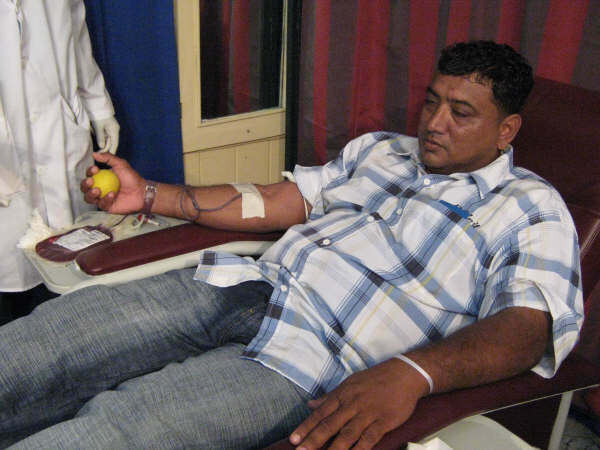 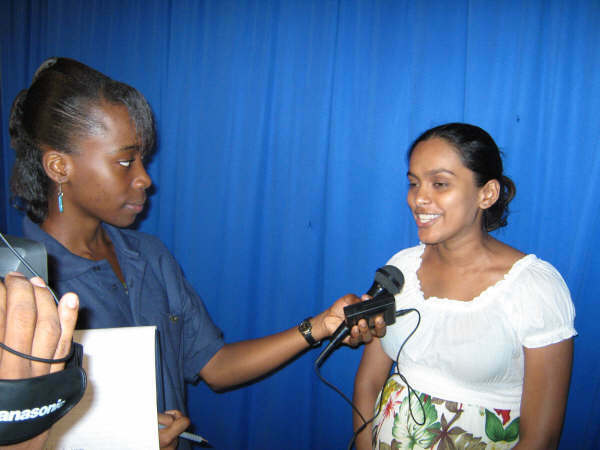 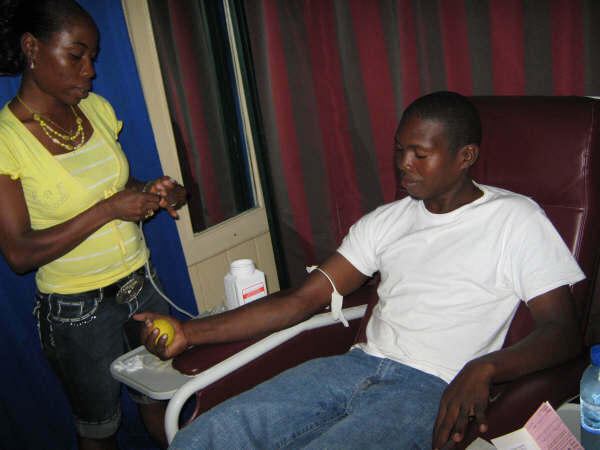 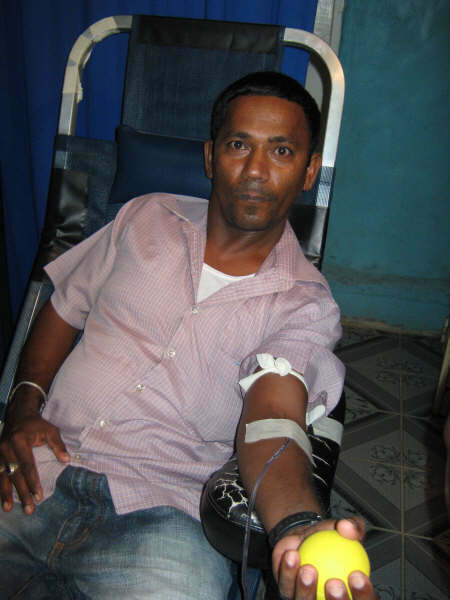 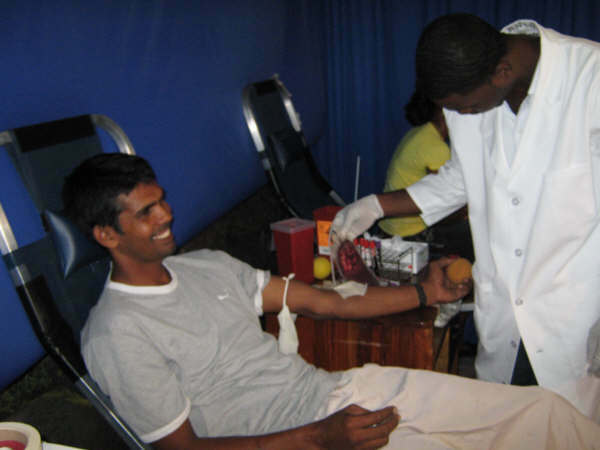 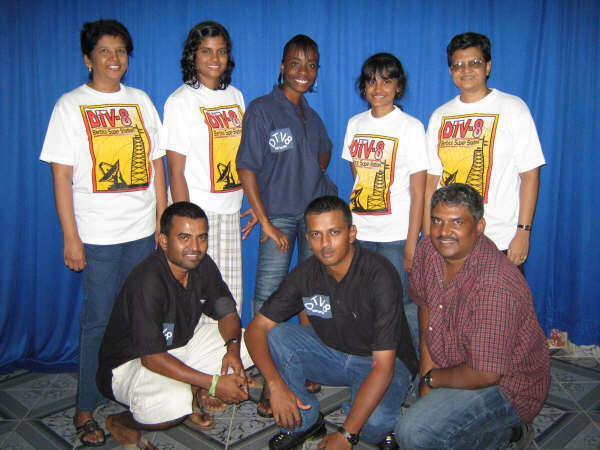 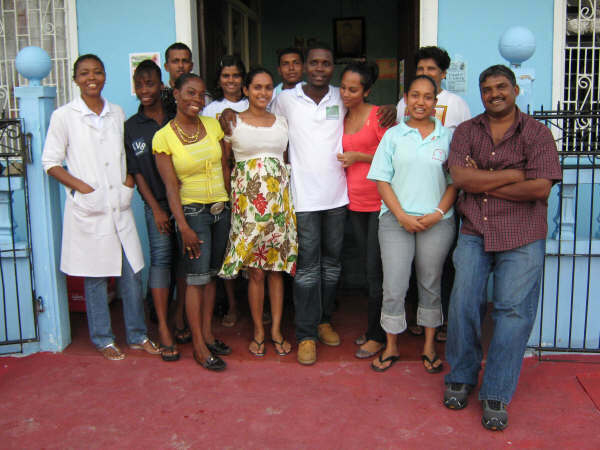 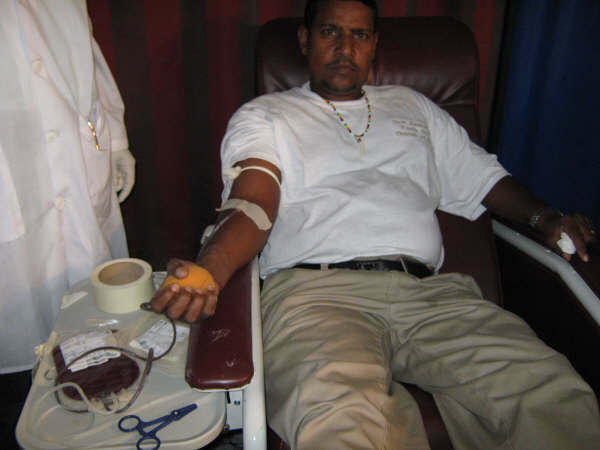 Despite the heavy downpour of rain during the earlier part of Saturday April 4, 2009, Berbicians turned out in their numbers to support the Blood Drive sponsored by Dave’s Television in collaboration with the Berbice Regional Health Authority. 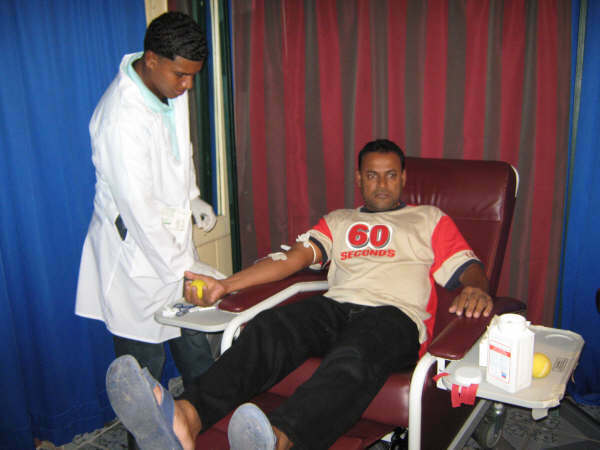 The Blood Drive was aimed at encouraging persons to become regular volunteer blood donors and at the same time, it was focused on acquiring several units of blood so as to assist the National Blood Bank in its time of shortage. 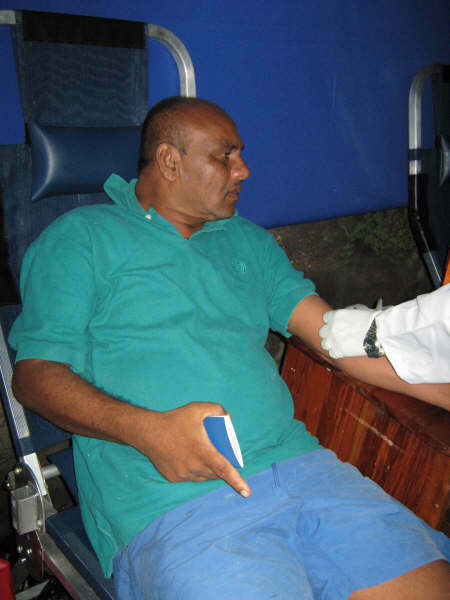 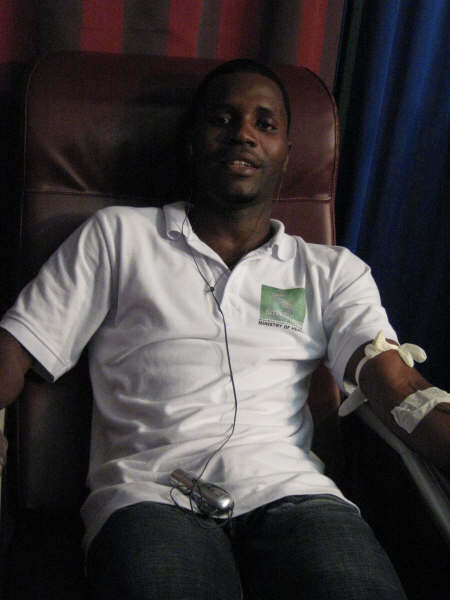 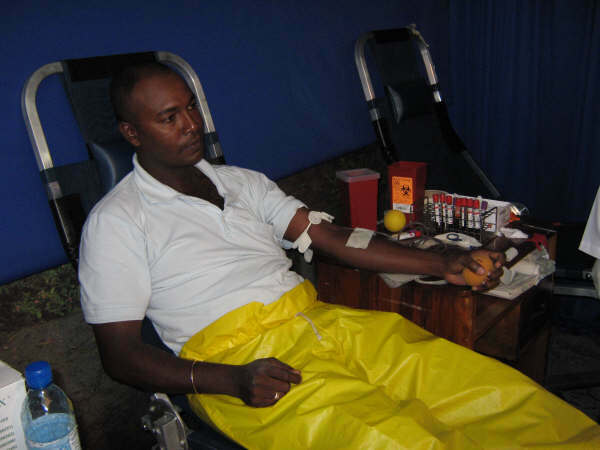 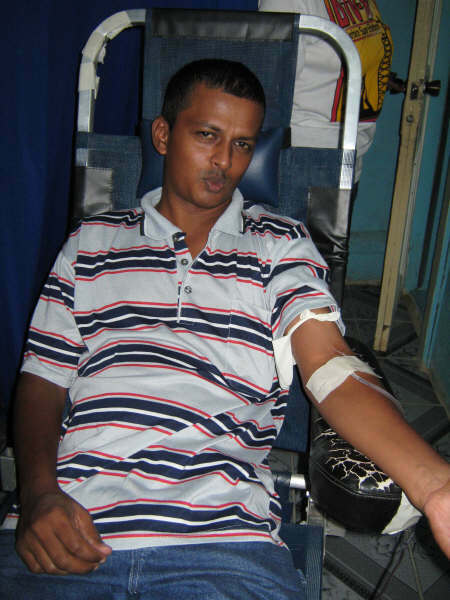 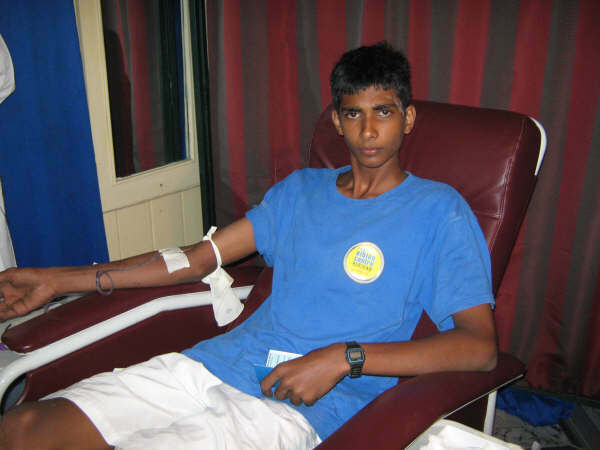 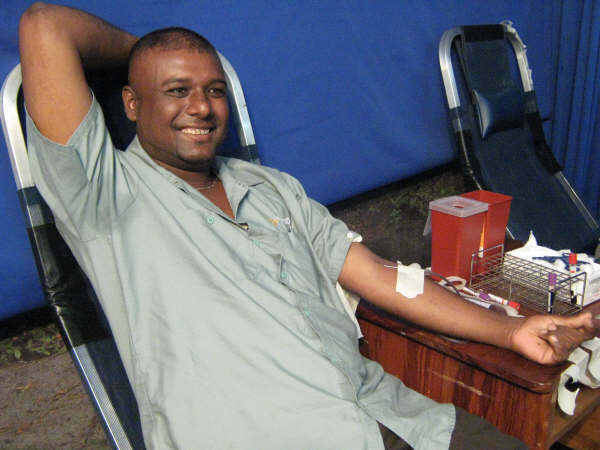 Among the 60 persons who volunteered to donate, 24 males and 7 females were eligible, taking the total amount of blood acquired from the drive to 31 units. 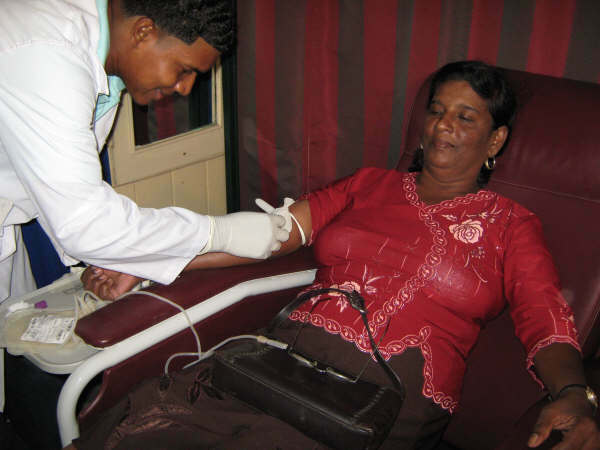 According to Ms.Eshwari Singh, the Region 6 Blood Donor Organiser, 31 units of blood is highest target ever reached in the region during a single Blood Drive. 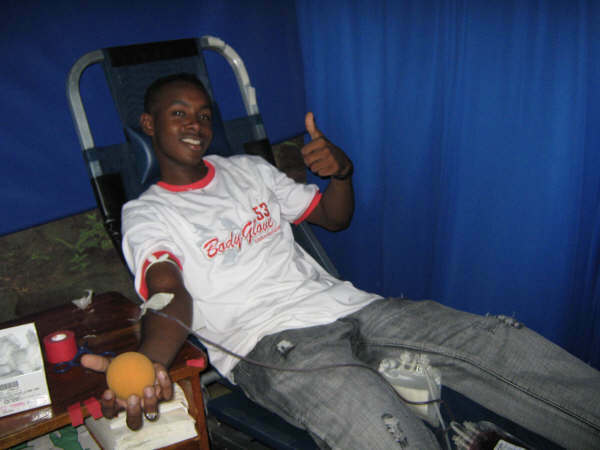 Approximately 70% of the volunteers were first time donors. 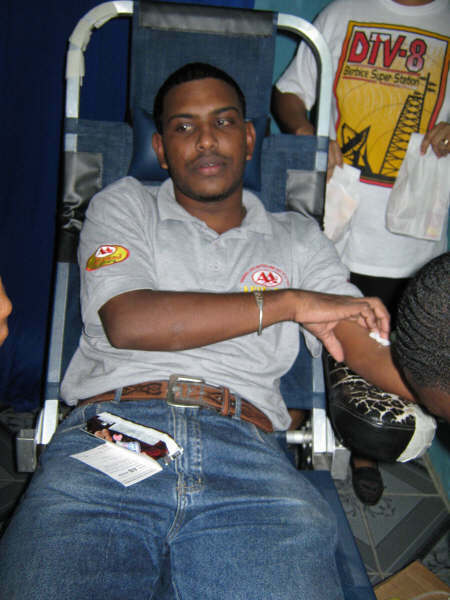 A total of 9 persons were deferred to a future blood drive, since they presently did not reach the requirements to donate.